This sterling silver mother daughter necklace set includes the large pendant with three heart cut outs, as well as three small heart charm necklaces. 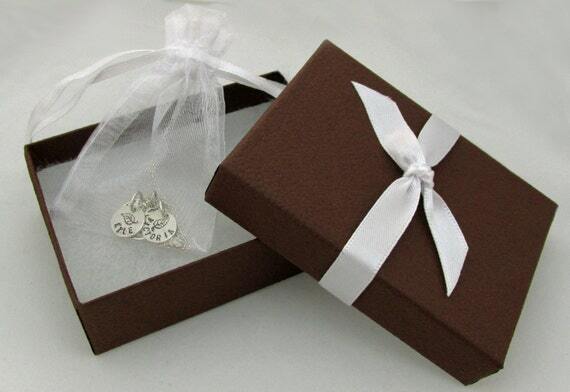 A great little Mothers Day necklace set for mom and daughters. 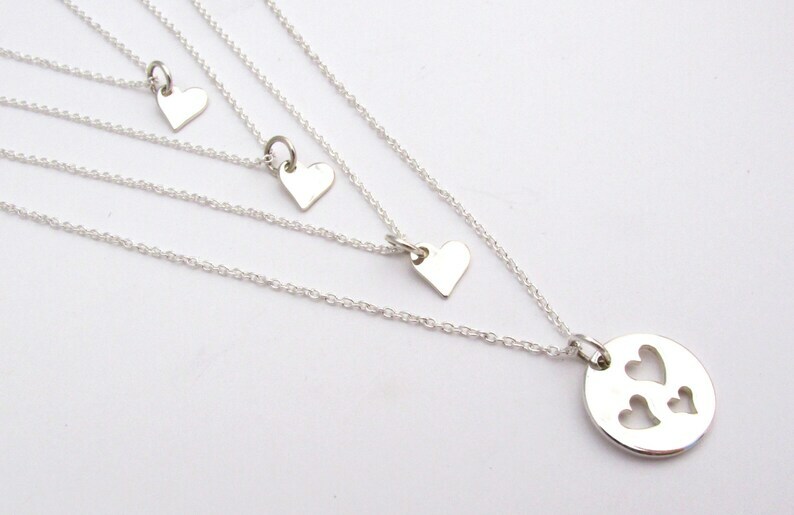 ~ Delicate but sturdy sterling silver cable chains. Had my eye on this necklace for awhile and I love it! Came quickly and is really cute. Fast shipping and beautiful quality. Delicate and feminine. Pretty on it's own or stacking. My mom and sisters adore it!